TOKETEE FALLS, Ore. – The body of a missing man was found over the weekend in Douglas County. 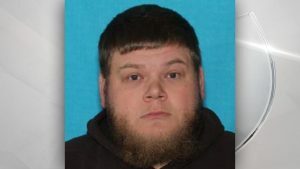 The Douglas County Sheriff’s Office said on the evening of February 4, 29-year-old Anthony Fennimore of Silverton told police he and his friend, 30-year-old Jeffery A. Vance, had been lost in the woods for two days. According to Fennimore, the pair experienced vehicle problems after they got lost. They walked away from the vehicle on the night of February 1. The two were reportedly separated sometime during the morning of February 3. The next morning, Fennimore came across some people who gave him a ride to Glide. On February 12, the sheriff’s office announced the search for Vance was suspended due to heavy snowfall in the area he went missing. When searchers returned to the place where Vance went missing, they were able to find his body. There are no signs of foul play and the investigation is ongoing.